Adorablepoodlepuppies.com is a scam website. These scammers create fake websites and then pay to advertise them online using stolen credit cards. This is not a review, they are criminals! Adorablepoodlepuppies.com is not a puppy breeders website and this is not a review of Adorablepoodlepuppies.com. This is a warning. They claims to sell puppys but the domain was actually created by criminals in order to defraud people wanting to buy a poodle. They will even send you “proof” by showing you pictures they have stolen off the internet of poodle puppys. Adorablepoodlepuppies.com will claim to deliver the puppy using a Fraudulent Delivery company. To see more scam websites involving poodle puppy have a look at Poodle Puppy Scams. 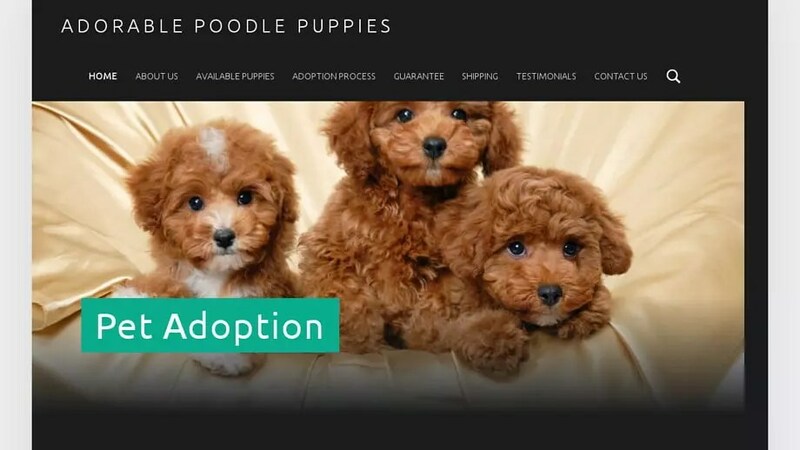 Adorablepoodlepuppies.com was registered on February 28, 2019 with NAMECHEAP INC . These details are correct as of today (March 4, 2019) but the name and address could possibly belong to an innocent third party if the domain was registered using a stolen credit card. Adorablepoodlepuppies.com was registered using the email address 063e40ade65d42d9bae364dca4c7b857.protect@whoisguard.com. It was registered and 4 days ago on February 28, 2019 and expires February 28, 2020. To look at it another way, this “company” only started February 28, 2019 and does not plan to be using the website after February 28, 2020 as it has only a 1 year registration. Adorablepoodlepuppies.com was registered with the domain registrar NAMECHEAP INC.
To send an abuse report to NAMECHEAP INC please click the red button below and complete the email to help shut down Adorablepoodlepuppies.com! Ya really I got ripped off 2200 no fun at all !! You’d think that honest breeders would do something about obtaining some sort of verification badge from this page?? ?